Under the right circumstances, just about any electric appliance can be a fire hazard. Lately, electric toasters are falling into that category. Joni, of Cleveland, Ohio, suffered a house fire about a year ago. Once repairs had been made she received a Black & Decker toaster as a house-warming gift. An anonymous consumer from Edgewater, Md., posting under the name “Visitor,” reports having the problem more than once. Black & Decker toasters aren't the only ones triggering complaints about fire hazards. Stacie, of Vancouver, British Columbia, reports purchasing a Kenmore toaster about a year ago. 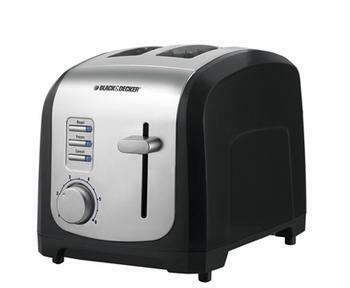 In December 2011 Hamilton Beach recalled about 14,000 chrome two-slice toasters because of a potential fire hazard. Safety experts found that when the appliances are plugged into an electrical outlet, the heating element can be energized although the toaster lifter is in the up or off position, which can pose a fire hazard if the toaster is near flammable items. The company said it had received five reports of the toasters causing fires. Toasters have been around nearly as long as electricity. The first electric toaster was developed in Scotland in 1893. Before that people used metal frames to hold bread in place over a heat source, usually an open fire. Electric toasters replaced fire with heat generated by electric current. Westinghouse developed the first two-sided toaster in 1913. By their nature, toasters can cause fires because of the heat they produce. They are, after all, designed to generate enough heat from electricity to brown pieces of bread placed in the slots. If the electric elements that generate the heat do not turn off on schedule, they can burn the bread. At the same time, toasted bread is fragile and tends to generate crumbs that often fall to the bottom of the toaster. If these crumbs are allowed to accumulate, they can easily catch fire during normal toaster operation. 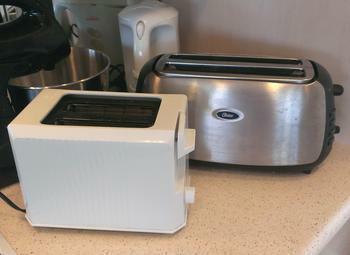 Most toasters have removable trays for easy cleaning. Consumers should make sure they clean their toasters on a regular basis. While crumbs might explain some toaster fires, consumers insist others are related to mechanical faults. Several consumers posting at ConsumerAffairs have mentioned that their toaster's timer did not shut off when it was supposed to. Just to be safe, consumers should probably unplug their toasters when not in use. When using them, it's also a good idea to monitor them and not walk out of the room. Regular cleaning will also reduce the risk of a fire during normal use. In case of a fire, do not use water to try and put it out. Use a kitchen fire extinguisher or smother the blaze with a heavy towel or blanket. 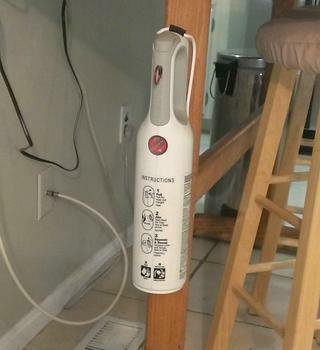 You don't have a fire extinguisher in your kitchen? You should. The kitchen is the most dangerous room in the house when it comes to fires, and it's not only objects that can burn. People often set their clothes on fire while cooking -- a life-threatening emergency that requires instant action. Having a fire extinguisher mounted on the wall or someplace else in plain view is the best hope of meeting such an emergency effectively. Don't put the fire extinguisher in a cabinet or cupboard. It needs to be someplace you can see it and grab it immediately.